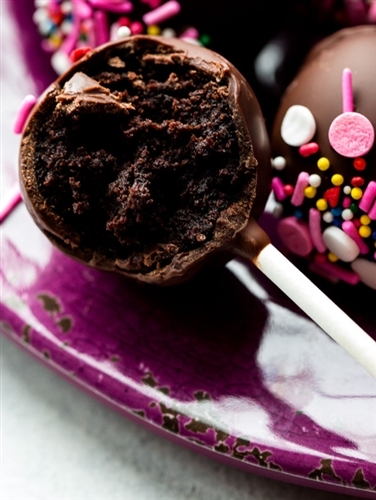 If you like our cake pops we are sure you will LOVE our brownie pops! This adorable treat has a secret combination of ingredients to make it ridiculously delicious!! Our rich, fudgy, brownie recipe is baked then mixed with just the right amount of frosting; made into bite size brownie balls; drenched in white chocolate or milk chocolate coating; placed on a stick, then embellished with beautiful Valentine's Day designs (assorted sprinkles and drizzle). 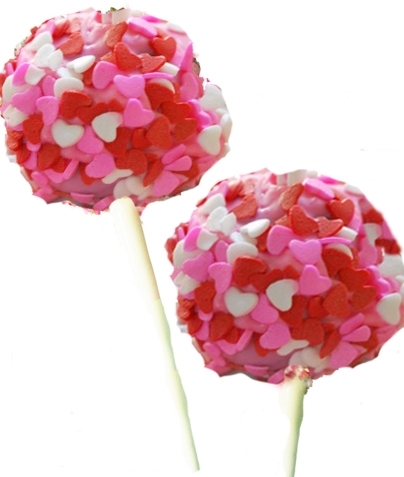 1.5 oz cake ball is approximately 1.5"-1.75" Height is 8" Designs may vary.